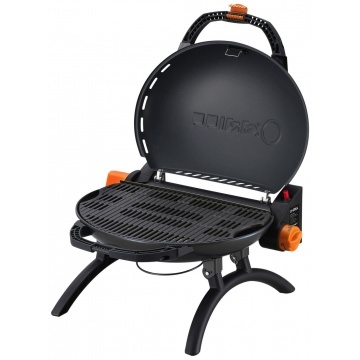 The Iroda O-Grill 500 portable camping picnic barbecue is a compact striking clamshell design which can be run from Butane or Propane gas bottles via regulator and hose. 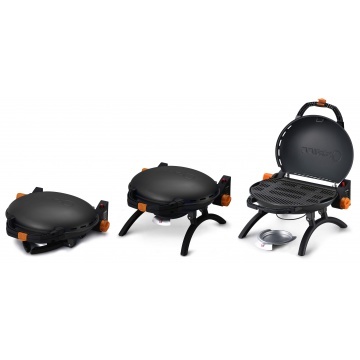 1065cm2 (165 in2) large cast iron non-stick cooking area. Porcelain enamel coating on hood. 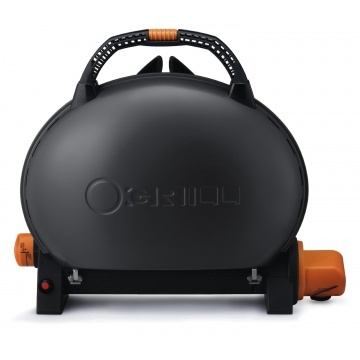 9000 BTU output (2.63Kw) stainless steel burner. 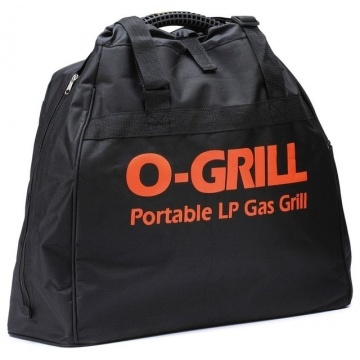 Supplied with custom carry bag designed to perfectly fit the O-Grill 500. 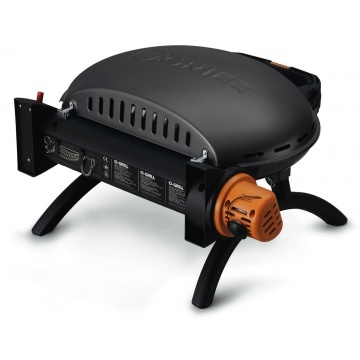 Includes carry bag for O-Grill 500 BBQ.